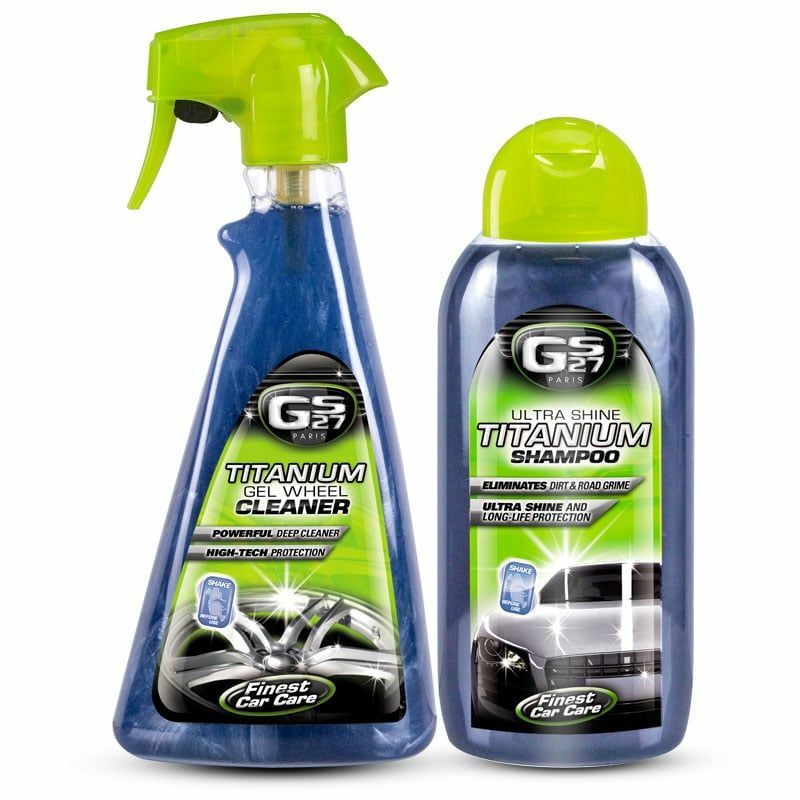 Check out our Titanium Washing kit for your car care that includes an Ultra Shine Titanium Shampoo and a Titanium Gel Wheel Cleaner. 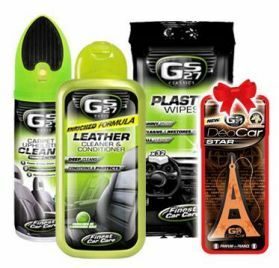 It is the perfect combination for easily & quickly wash & clean your vehicle. 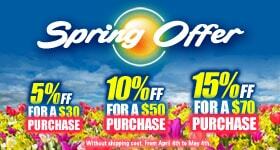 With this product, you earn 10 loyalty point(s). 10 point(s) = $0.50. Titanium® is a light, very resistant component used in cutting-edge sectors such as aeronautics and Formula 1. GS27 has integrated this technology into GS27 ® Ultra Shine Titanium® Shampoo, creating a unique formula offering shine and protection. 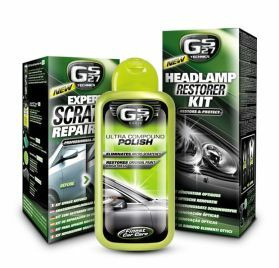 It deep cleans bodywork, removing dirt and the greasy road grime. The Titanium® micro-particles envelop the bodywork, protecting and making it shine. 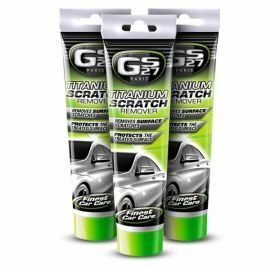 Combined with GS27® Titanium® Ultra Shine & Protection, it will strengthen the water-repellent effect and prolong the protective action of the Titanium® particles. 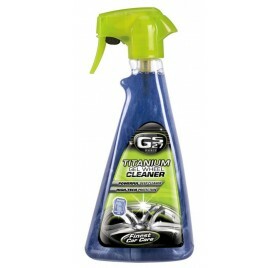 For all types of paintwork (metallic and varnished). You can also use this shampoo to clean leather and car hoods (when diluted). 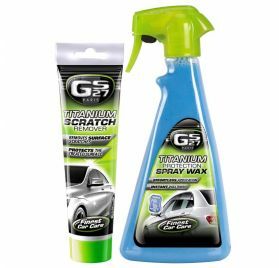 GS27® Titanium® Gel Wheel Cleaner clings longer to wheel surfaces, giving a more precise, deeper clean. 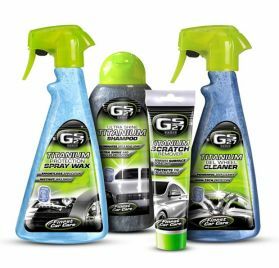 Thanks to its gel formula containing surfactants and Titanium®, it removes brake dust and stubborn road residue, leaving an intense shine and a protective coating on your wheels. 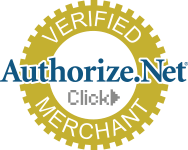 For all types of wheels (aluminium, painted, chrome, varnished). For very dirty surfaces, repeat the operation using a paintbrush or small brush. 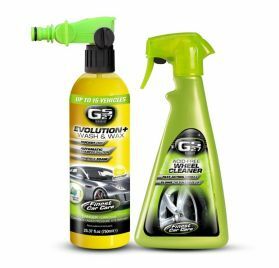 GS27 Paris Evolution+ Wash & Wax has its own specific sprayer: you can connect it directly to the water supply. No more bucket needed!